Enviro Masters is an Enviro considerate lawn care company that takes the Natural approach to get a healthy green lawn with fewer weeds. Here at Enviro Masters we know that not every lawn has the same problem so we take a proactive approach to gain the upper hand in the war against weeds. 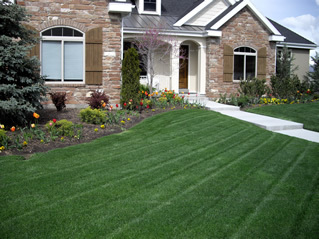 Since the ban on pesticides, we have modified our programs to better suit your lawn care needs. We offer chemical free programs that are safe for you and your family to enjoy! Let us help you fight the war against weeds!